Take a tin of red paint. Take a boy called Tom. Mix the two together. How long will it take Tom before trouble starts? This hilarious story introduces the idea of ‘time’. 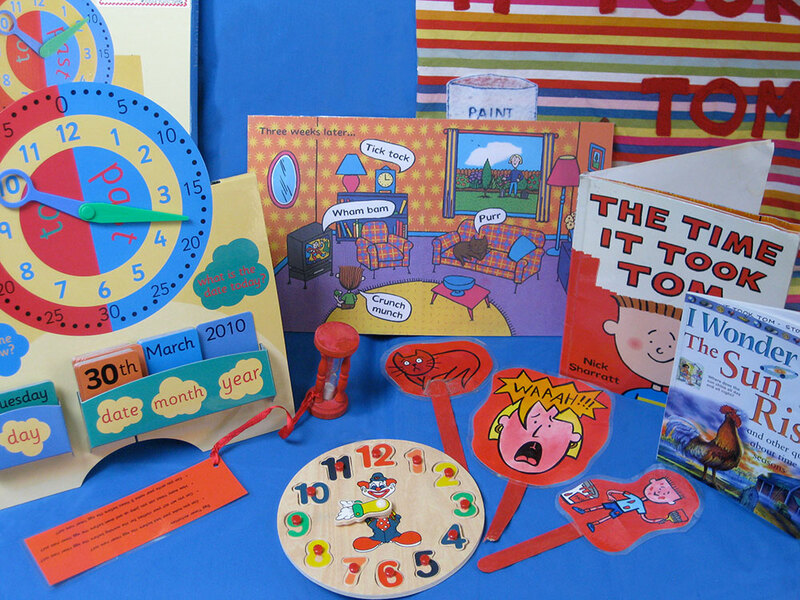 There are also lots of time-related activities, the calender/clock, clock jigsaw plus a spot-the-difference game. *N.B. No longer has egg timer and activites – lost. * Made in 2003 by Myatt Garden Parents. New game and clocks etc April 2010.